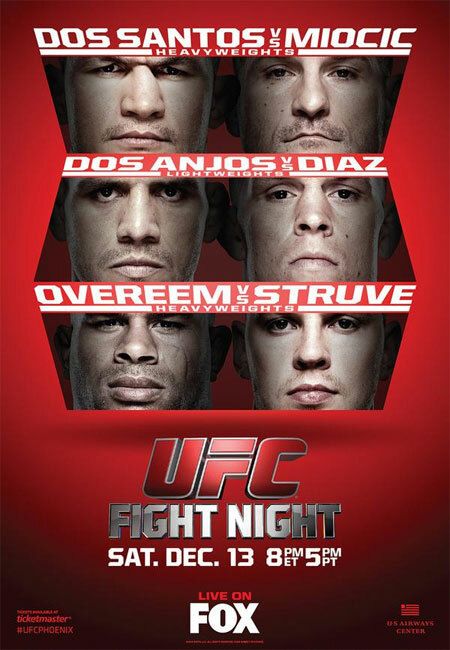 “UFC on FOX: Dos Santos vs. Miocic” took place Saturday night inside US Airways Center in Phoenix, Arizona. Former heavyweight champion Junior dos Santos met Stipe Miocic in the show’s featured attraction. Lightweights Nate Diaz and Raphael dos Anjos battled in the co-main event.